Welcome back! Here we are just cruising along to Week 2 already! Hopefully by now, you’ve had a moment to stop and assess your rooms. I realize most of you may not be freaks who obsess about decorating all day like I do, but when the mood strikes, go with it! Sometimes it takes being fed up with it’s current situation and maybe a gentle little shove in the right direction (that’s what I am here for) to get things done! I have literally had nights that I could not sleep and laid in bed thinking and thinking about a specific room and how it could work better. I once even got up in the middle of the night and moved the furniture around in our den, just so I could stop thinking about it. When my hubby woke up the next morning and went in there, he had the strangest look on his face. Finally he broached the question, “Uh, this wasn’t like this when I went to bed was it?” “No dear, it wasn’t”. You aren’t hallucinating! Good thing he loves me anyway. Needless to say, when the mood strikes you gotta go with it. So here are a few tips to get you thinking about how your rooms can function better. 1. Change it – It’s been said before that the definition of insanity is literally continuing to do the same thing and expecting different results. If the rooms you have assessed have not been working, then it’s time to change it! Don’t be afraid, we aren’t talking about big changes yet. We can start slow and make those small changes that will help rooms ‘work’ better. The first step to change is to recognize that it needs to happen and we can go from there. This also doesn’t mean that it has to be something horrible to be changed. I lived a very long time with an open hutch in my kitchen that, in theory based on it’s size, should have been great for storage. But it just wasn’t. 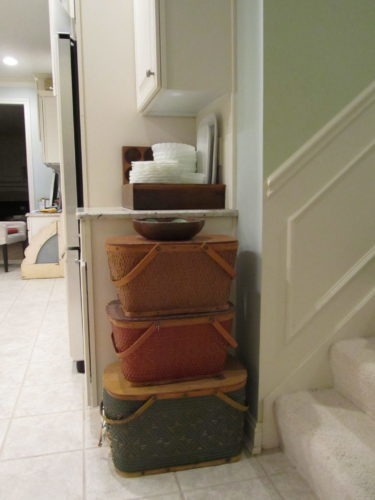 It was more about looking nice than really functioning as storage. What I really needed and wanted was closed storage, so a change was inevitable. 2. 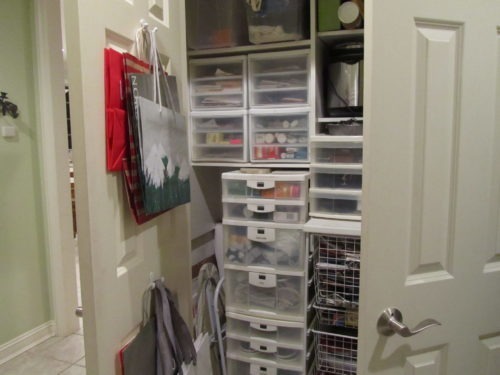 Hide it – If you have assessed one of your problems as a lack of storage, this is where you need to get creative. Sometimes I just don’t want to be reminded about all the crap I have, so hiding it is best. A decade ago we moved from our custom built dream home in Michigan which was loaded with enough walk-in closets and pantries that storage was never an issue, to a house in California that had tons of kitchen storage and a giant walk in pantry (that I expanded one day when I was bored and called my BFF to ‘come over with a flashlight and a hammer’ and we discovered a treasure trove of storage behind the drywall of a pantry wall and under the stairs – jackpot!) to our current home which has a nice sized kitchen but has no pantry and lacks the cupboard space for anyone with as many dishes as me. What to do? This is where hiding it comes in handy. 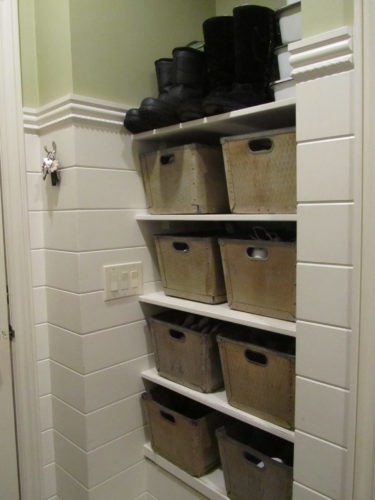 Look around for space where you can hide less used items. 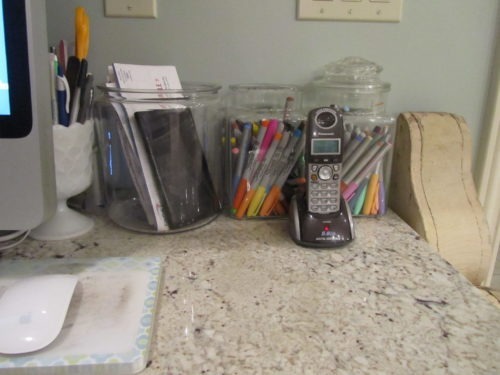 Remember, frequently used items should be what takes up the ‘prime real estate’ in your home and the less used items can be sneakily hidden. 3. 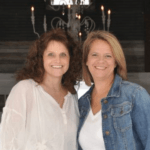 Hook it – Are you always losing your keys? Do you find that your family couldn’t hang up there coat on an actual hanger and put it in the closet to save their life? That used to be me, then I discovered hooks. Now I’m obsessed with them. You can open any closet in my house and there are hooks on the back of every door to hold all kinds of stuff. I converted the one closet in my mudroom meant for coats (cause there was no way my family was going to actually hang stuff up) into organization central. 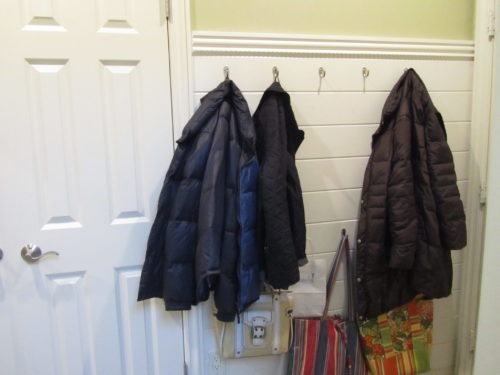 Coats are placed on hooks when you walk in the door and in every closet there are more hooks to hide things I might need. 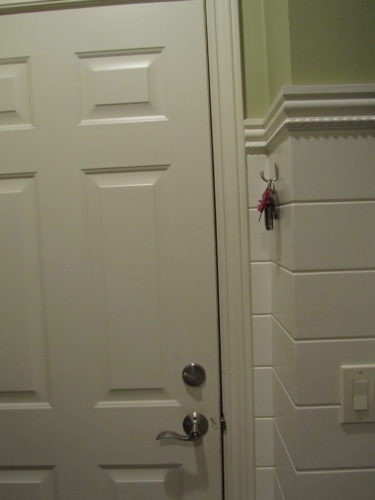 Keys go on a hook by the door and I never have to waste time looking for them. 4. Contain it – More messes than you like? Everything looks better in a good looking container. 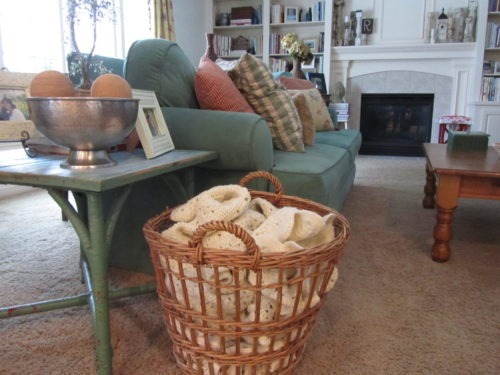 Blankets in a basket. Shoes in bins. Messy papers in a basket. Bills and pens in a jar. Snacks and rarely used small appliances in a stack of vintage picnic baskets. Find something attractive to put the necessities in, and your room just got better looking! 5. Switch it – Don’t be afraid to switch furniture around your house and use it in different rooms than it was originally intended. 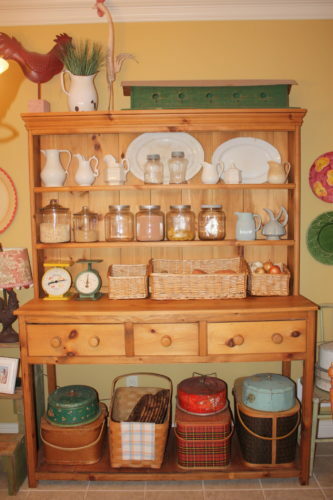 When I decided the open hutch had to leave the kitchen and found a new home in the basement, I moved our old dresser from the original bedroom set we bought when we got married (it was holding nothing in the guest room) down to the kitchen. It now holds napkins, placemats, table runners, playing cards, serving bowls and platters, small baskets and trivets for setting the table, all my decorating color swatch decks and some decorative chargers for a lovely place setting. 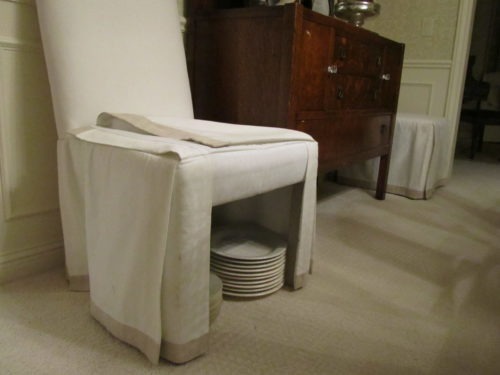 The old hutch only held the placemats and napkins before! 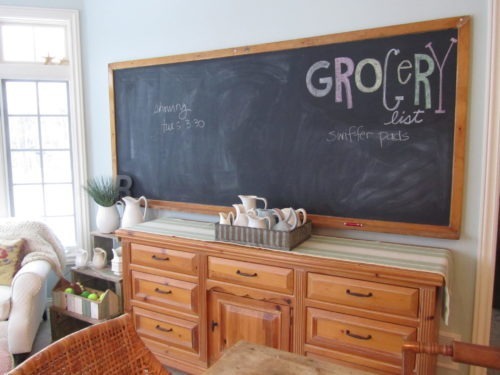 Plus, I now have space for this old school chalkboard where I keep lists, weekly schedules and love notes. 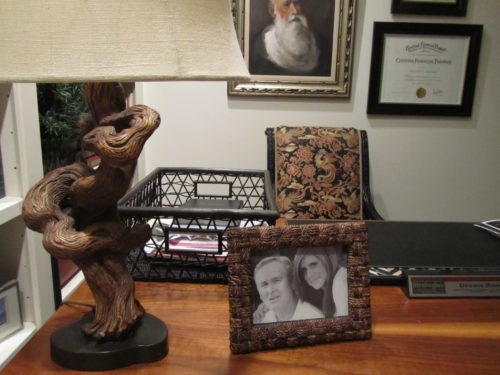 Now if I only knew someone who would paint that dresser for me, hmmm. Can you ever paint over a shiny wood without sanding first? Great ideas here!!! Hi there! I tried to click on the email link to send B47 an email but I was not able to. What is the email address that I can send an inquiry to? Thank you!